Cutting Capacity 200 x 12 mm Alu. & Cu. We present high quality Bus Bar Bending Machine that is commonly used to punch and bend through aluminum and copper bus bars. We stand in the midst of chief Bending Machine Manufacturers based in India. Our Busbar Fabrication Machine is manufactured from the strictly tested raw materials under the guidance of experts. 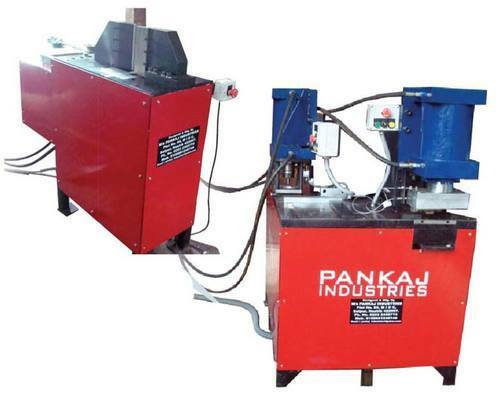 Pankaj Industries has gained expertise in the domain of Manufacturing and Supplying of Special Purpose Machines. We are dedicatedly dealing in an array of products such as Material Handling Trolley, Material Storage Rack, Industrial Conveyors, Metal Pallets, Jigs & Fixtures, Precision Machine Components,Fixtures,Busbar Fabrication Machine.